Future Publishing, the lovely people who bring you MusicRadar and many other fine websites and publications, are gearing up for The Photography Show, and this is your chance to save £5 on entry. 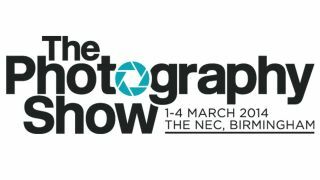 Taking place at Birmingham NEC on 1-4 March the show will bring together hundreds of gear exhibitors and a slew of industry legends to inspire photographers of all levels. Featuring alongside the likes of Rankin, Joe McNally and Steve Curry, official Iron Maiden photographer and award winner John McMurtrie will share stories of a life in music snapping, giving an unprecedented insight into one of the most adventurous rock tours ever undertaken. Terry O'Neill will present his most famous images and his personal favourites, revealing their back stories and how he won the trust of '60s giants like the Rolling Stones and The Beatles. To get adult tickets for £10, a saving of £5 on the on-the-day entry price, go to our ticketing website and use the code FUTMUS142014.